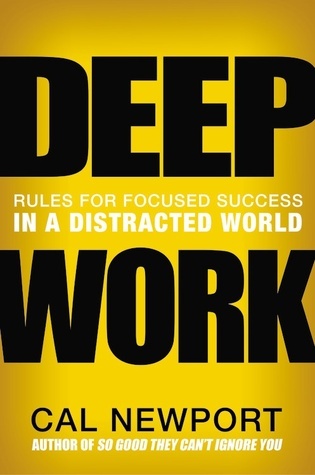 Deep Work is a wonderful read with plenty of practical tools and meaningful insights. It goes beyond the usual productivity hacks and shows how to become successful in our rapidly changing economy. In our distraction-stricken society, where killing time on social media has become the norm, this book serves as a wake-up call. Its compelling notion of working on a deep level will make you question your own work ethic. And the best part is, it will help you achieve more by working less. No, really! This book encourages you to work till 5:30 and take weekends off without guilt. The book supports the notion of deep work with scientific evidence and shows how great achievers like Bill Gates have used it in their lives. It also shows how deep work is essential to creating a meaningful life. This is a big one, as, among all the productivity books out there, few will add such passion and meaning to your life. Deep Work will help you master the caprices of action and prepare you to reclaim time lost in meaningless activities. In short, the book presents a thorough, structured, and proven process to intensify your focus and squeeze the more creative juice out of your life. Cal Newport is an Associate Professor of Computer Science at Georgetown University, and the author most recently of "Deep Work" and "So Good They Can’t Ignore You". He has also written three popular books of unconventional advice for students. His ideas and writing are frequently featured in major publications and on TV and radio. Learn to differentiate deep work from shallow work. Work hard to become either a high-skilled worker or a superstar. Quickly master hard things and learn to work with intelligent machines. Produce at an elite level in terms of both quality and speed. Batch hard but important intellectual work into long, uninterrupted stretches. Delegate or allocate separate time for your social media work. Create a feedback system for your work activities to avoid unproductive behaviors. Create habits and rituals instead of waiting for inspiration. Use the four disciplines of execution to execute your deep work strategy. Create a shutdown ritual after which you don’t engage in any work activities or thoughts. Schedule internet use to train your mind to resist distractions. Meditate productively: Utilize idle time by solving an important problem in your mind. Apply the law of the vital few to your internet habits. Create structured hobbies to have a quality life. Create a schedule and use overflow conditional blocks if necessary.